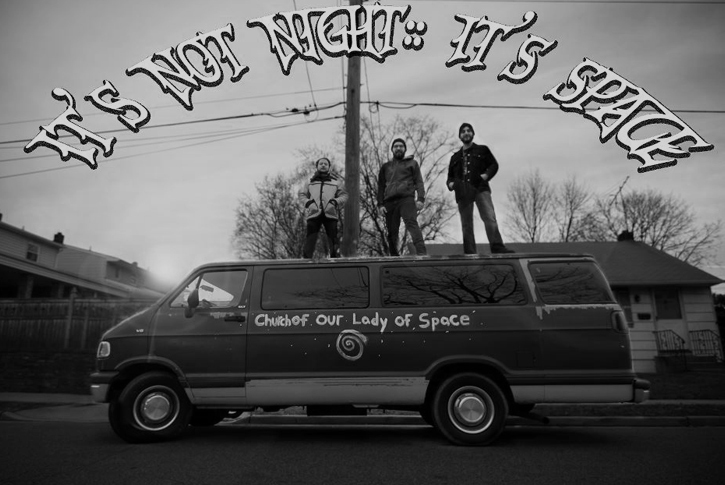 United as though at the behest of the cosmos itself, the members of It’s Not Night: It’s Space came together with immediate chemistry early in 2011. 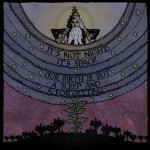 By October at that year, their first self-released EP, East of the Sun and West of the Moon, had been released, and the band – founded by guitarist Kevin Halcott and drummer Michael Lutomski, but by then also including bassist Tommy Guerrero – set about honing their interstellar craft over the course of regional gigs around their native quadrant of New Paltz while conducting research with the SETI for what would become their debut long-player, Bowing Not Knowing to What. It was this album that set It’s Not Night: It’s Space on the path of anti-gravity exploration, the trio of Halcott, Guerrero and Lutomski honing in on natural jams thickened and given orbital pull by dense tones and an ever-expanding wall of fuzz. Feeling that language could only limit the universal nature of their message, INNIS kept their game centered around the guitar, bass and drums, and made first contact with Small Stone Records early in 2013, who immediately offered support for their ongoing investigations. The debut cooperative effort between the two parties is scheduled for launch in the yet-undetermined future known as 2014.